Once you get the gorgeous vibrant colours swirling away which is pretty magical to watch and my four year old loves watching the Lush bath bombs too, you then get left with a green once they have merged together THEN you get left with what looks like a swamp! 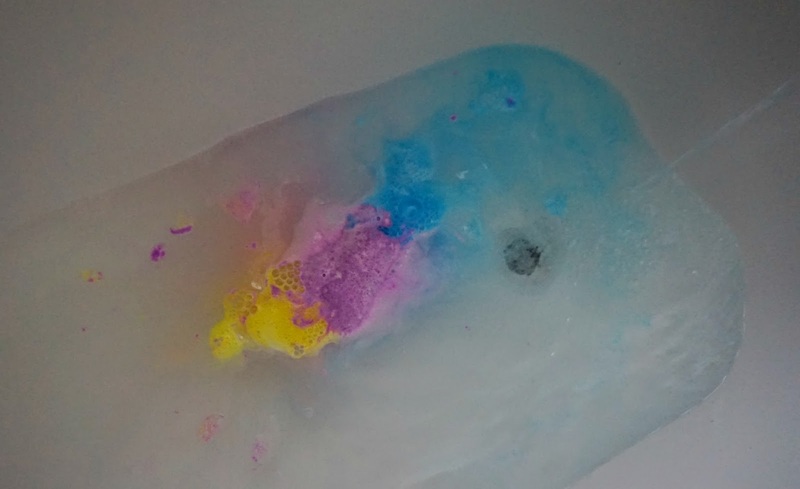 My children were clean before the bath, no dirt on them or left over food they were clean its just ritual to have a quick bath before bed so the colour has nothing to do with them, this is purely from the bath bomb! It may not bother others and some of my previous favourite bath bombs can make you bath look a tub of wee but this for the price tag just didn't do it for me. 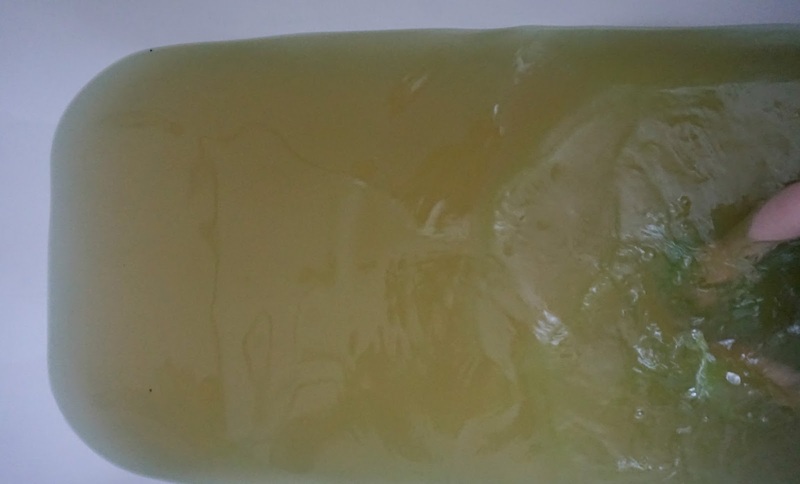 It has a lovely floral fragrance with the ylang ylang and jasmine and they felt moisturised a little after the bath but it was lost in the all the swampiness. 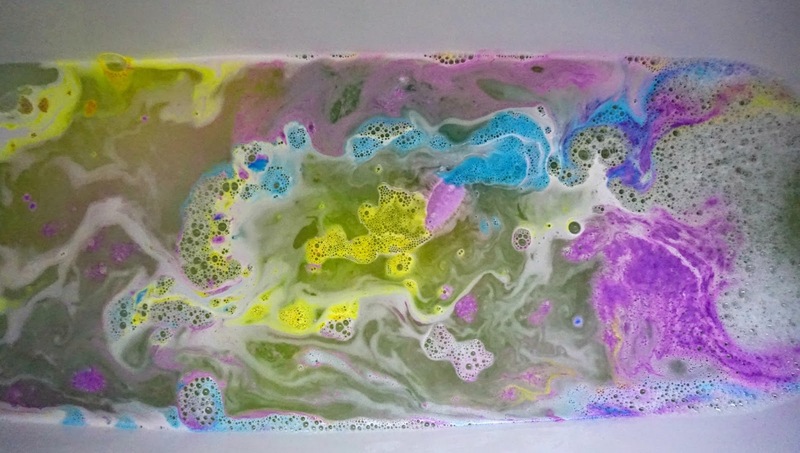 I personally wouldn't repurchase this again but that's just my opinion, it's so gorgeous to look at to start with but then looks like the bath after a weekend at a festival. I would of loved for the bath to of stayed one of the vibrant purple or blue shades but there we have it. I will continue to forever repurchase my favourite Comforter bar and keep trying new bath bombs but the Northern lights is a no from me. I bought this one at Christmas what a let down it looks great at first but getting in a bath that looks like dirty water is very off putting. Definitely wont purchase it again. 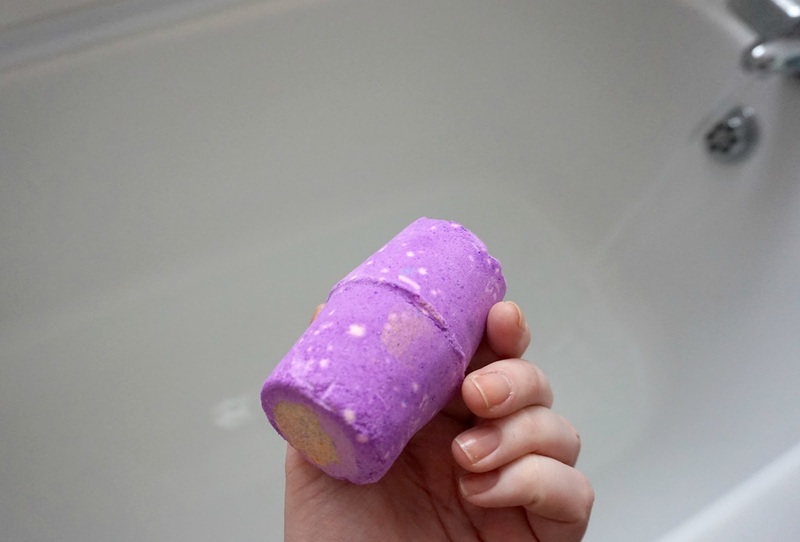 I think the original Northern lights bath bomb with blue and purple was so much better! Although not at all like the lights. This is worse again, they're not yellow anyway so why they did this I have no idea but I was disappointed.